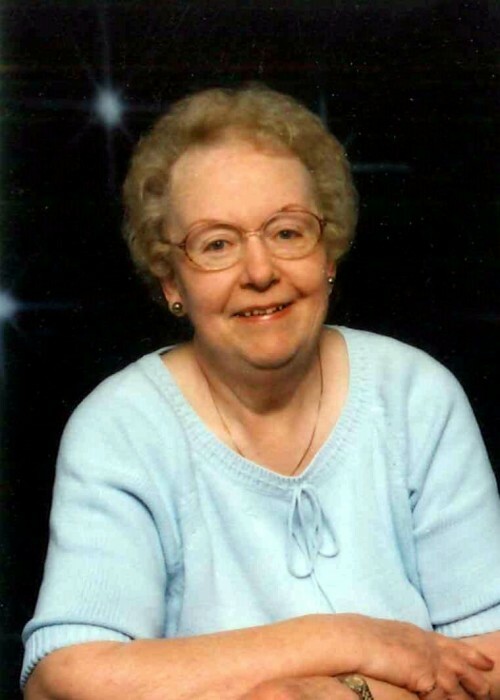 Joyce Marilyn Roberts passed away at the age of 87 on April 14, 2019. She was born in Wolfeboro, NH on June 28, 1931. She is survived by her sons – Paul Roberts (Ginger) of Millington, TN, Gary Roberts of Blue Springs, MS, Rick Roberts of Tulsa, OK, and Ron Roberts (Michele) of Savannah, GA; daughter – Linda McKinley (Barron) of Little Rock, AR; grandchildren – Chris Roberts, Michael Roberts, Katie Roberts, and Madeline Roberts; and great grandchildren – Nikki Roberts and Brandon Roberts. She is preceded in death by her husband of 30 years, Roger, who passed away in March 1981; brothers Warren Griffin, Arthur Griffin, Donald Griffin; and sister Marjorie Knowlton. She retired from ASU Beebe in 1993 where she worked as the baker and pastry chef for the 10 years after Roger died. Prior to her work at ASU Beebe, she supported Roger’s consulting business using her photography, design and organization skills. She was an independent woman who loved to travel. During her marriage to Roger, they lived in seven different states, ending up in Beebe, AR. After Roger’s death, Marilyn traveled the United States both on solo trips and trips with her children, as well as a trip to Europe. She loved to garden and cook. She will be greatly missed by all that love her.